László Moholy-Nagy moved to London in 1935 and quickly established himself at the heart of the avant-garde community in the newly designed Lawn Road Flats of London’s leafy Hampstead. He brought with him his belief in ‘nature as a constructional model,’ to determine functionality in art and design. In 1937 the ecologist Julian Huxley hosted a sumptuous farewell dinner party for Walter Gropius upon his departure from London to become chair of the Harvard School of Design. The event took place at the then fashionable Trocadero, Oxford Street, with a guest list that reads as a Who’s Who of the English scene of Modernist design. Strangely, among the guests one also finds – besides Huxley – prominent ecological scientists and environmentalists, which raises the question of why they were invited. 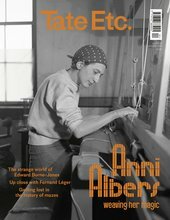 What brought the Bauhaus designers and ecologists together was a shared belief that the human household should be modelled on the household of nature. Although some of them were inspired by biology while active in Germany, the fusion of biological reasoning with Bauhaus design took place during the process of trying to re-establish the school in London. After fleeing from Nazi harassment, Walter Gropius (who arrived in 1934 and left in 1937), Marcel Breuer and László Moholy-Nagy (who both stayed between 1935 and 1937) were able to meet regularly again as a group. 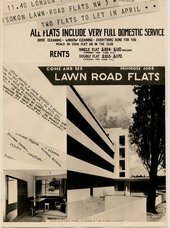 The former Bauhaus faculty moved into a new apartment complex, the Lawn Road Flats in Hampstead, which was the first Modernist residential building in London. Designed by Wells Coates, the building featured a common room (which Breuer redesigned into the Isobar Club in 1937). From his window Moholy-Nagy could enjoy overlooking a garden of “only trees, which is very peaceful, especially in London”. The list of carefully selected tenants included intellectuals and designers enjoying what Gropius described as “an exciting housing laboratory, both socially and technically”. Technically, the building was to be a true machine for living with new furniture (such as Breuer’s Isokon Long Chair) and novelties such as built-in cooking and washing facilities. Socially, the apartment complex was to promote collective life and liberate the occupants from the burden of personal possessions. Both Moholy-Nagy (1895–1946) and Gropius suffered from the language barrier (the latter spoke only “three words of English”). Yet they were able to overcome the obstacle thanks to the communal spirit of the Flats. As the building’s architect, Coates was in the midst of gatherings that soon evolved into the Modern Architecture Research Group, or MARS Group. This included notable designers such as Maxwell Fry (who collaborated with Gropius on several projects), Morton Shand and John Gloag. One of the key debates was the role of biology in reshaping society. The MARS Group members became advocates of environmental sensitivity: “There must be no antagonism between architecture and its natural setting,” they pointed out in an exhibition manifesto of 1938.A drawing of a tree growing through a building was to illustrate that “the architecture of the house embraces the garden. House and garden coalesce, a single unit in the landscape”. This appeal reflected values and ideas promoted by environmentalists such as Clough Williams-Ellis, who thought Modernist design could save Britain from ecological destruction. Along with the professor of town planning at London University, Patrick Abercrombie, Williams-Ellis was on a crusade against unregulated development of the English landscape. Modern architecture, with its focus on light and fresh air, represented for them advancement in public health, as well as a remedy that could halt environmental destruction of past developments. H.G. Wells was also a Bauhaus devotee. He was one of the most famous writers of popular science books, novels and science fiction of his time, arguing that human life should be understood from an ecological point of view. Through his secretary, Moura Budberg, he came to know the Hungarian film producer Alexander Korda, who expressed a desire to make a film based on Wells’s ideas about architecture and ecological survival. The result was Things to Come (1936), where Bauhaus designers save the world with the help of ecological engineering of nature, and for which Moholy-Nagy contributed several set designs. 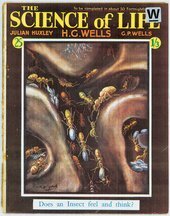 The chief source of inspiration for Wells’s interest in ecology was Julian Huxley. As secretary of the Zoological Society, Huxley enjoyed a spacious residence at the London Zoo, which he had made into a showroom for Modernist design. Here, scientists, architects and urban planners, as well as the environmentalist circle around Williams-Ellis, met for discussions. Their basic idea was that old-fashioned housing design reinforced an unfortunate dualism between humans and nature, while the new Bauhaus design promised a reunion of humans with nature through healthy living. The planning of cities that could secure the evolutionary survival of the human species was the issue at stake. The London art and writings of Moholy-Nagy were at the heart of these debates. Moholy-Nagy was Hungarian born and the former professor of the metal workshop at the Weimar Bauhaus, where he also taught the preliminary design course. He and Gropius had previously compiled a series of books about Bauhaus design, in which his own Von Material zu Arkitektur (1929) appeared in the English language under the title The New Vision in 1930. For many English speaking designers it became their first encounter with Bauhaus research methods. He advised them to use “nature as a constructional model” and always look for “prototypes in nature”to determine functionality. Functionalism was a key word in the book. Late in life he would complain that the original meaning of Louis Sullivan’s motto “form follows function” had been “blurred” to a “cheap commercial slogan”, so that its original meaning was lost. According to Moholy-Nagy, it should be understood in view of “phenomena occurring in nature”, where every form emerges from its proper function. This was also the basic assumption in The New Vision: humans were governed by their biological nature and cultural artefacts would consequently only be functional if they conformed to human biology. “Technical progress should never be the goal, but instead the means” for a healthy biological life, he argued. The chief source of inspiration for this design programme was the Hungarian biologist Raoul H. Francé (1874–1943). Though largely forgotten today, he was in the interwar period a best-selling biologist and director of the prestigious Biological Institute of the German Mycological Society in Munich. He was an outspoken defender of psychobiology – the theory that a certain vital psyche in living matter is a driving force in evolution. As one of the founders of soil ecology, he believed that the earth had a dynamic power that gave plants a goal-orientated energy aiming at evolutionary harmony among living organisms. Humans could benefit from the earth’s vital powers. 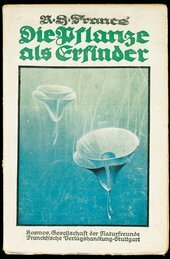 Francé argued that one merely had to learn from nature’s workshop to find out what humans should do in Die Pflanze als Erfinder (Plants as Inventors) of 1920, a book which Moholy-Nagy would frequently quote. Under the label “bio-technique”, he founded the science of bionics to pursue this end. The aim was to study nature’s workshop to generate principles, techniques and processes that could be applied to human technologies, so that society would live in harmony with nature. The structure of plants as well as their biotic communities should serve as models. It was possible to imagine a “futuristic utopia”, he said, “if the optimally functional form” of plants and plant communities was applied to development of new technology, design, architecture and urban planning. Inspired by Francé, Moholy-Nagy’s research was to find a way of designing that would set human life in harmony with nature’s economy. In his artwork he investigated spacial relationships and functionality in relation to biological needs. He defined architecture as “an organic component of living” and argued that “architecture will be brought to its fullest realisation only when the deepest knowledge of human life in the biological whole is available”. While living in London he drew up ambitious plans for a space-modulator (similar to his light-modulator of 1930) in the form of a kaleidoscope that could produce every possible spatial relationship. The aim was to research “the biological bases of space experience”, so that the architect and designer could proportionally transfer the spatial order of nature into the human realm. The artwork Moholy-Nagy generated from this research, such as the LK III and the LIV paintings from 1936, could be understood as investigations into human biological experience and function in different types of spaces. Bauhaus design came to reconcile the artificial and the natural in a way that would both enhance human life potentials and create a harmonious environment. Moholy-Nagy was pursuing an indirect argument for ecological protection, namely that a well-functioning biotic community was a precondition for a well-functioning human society. “The new architecture on its highest plane will be called upon to remove the old conflict between organic and artificial, between open and closed, between country and city,” he told British architects. He was inspired by Francé’s notion that every organic object had an harmonic organisation that manifested itself internally as a balanced structure and externally in the shape of ecological communities. Moholy-Nagy developed his programme of social responsibility accordingly, by aiming to provide communities with structurally sound design that gave support to human and non-human biological needs. “The thesis on which the Bauhaus was built,” he argued by pointing to Gropius’s first public lecture in London, “is that art and architecture which fail to serve for the betterment of our environment are socially destructive by aggravating instead of healing the ills of an inequitable social system.” Bauhaus design would determine “the fate of our generation and the next” if it successfully used the biological forces of life to improve social, economic, technical and hygienic matters, so that society could live in harmony with nature. In his photographic art, Moholy-Nagy also sought to capture the vital life force of evolution outlined by Francé – to “replace the static principle of classical art with the dynamic principle of universal life”. In his abstract film projects such as Light-play: black-white-gray (1932), he tried to portray the idea on the screen. This was also his agenda in his commissioned photo illustrations for three picture books, Eton Portrait (1937), An Oxford University Chest (1938) and The Street Markets of London (1936). By taking snapshots (as opposed to posed photographs) of Eton and Oxford dons as well as market traders in action, Moholy-Nagy saw himself as a scientist “providing a truthful record of objective determined fact”. These facts were also evidence of a class-ridden society where the biological forces of life failed to unfold. At Oxford, for example, he would juxtapose students and faculty members with images of the poor as if to remind the reader that the creative energy of academic life all too often was a privilege of the rich. Moholy-Nagy made two documentary films in London that further illustrate his biologically-inspired design programme. The first was commissioned by a London documentary film company and released in 1935 as In the Cradle of the Deep. It is a sixteen-minute-long naturalistic record of the growth of lobsters from baby to old age, as well as of the fisherman’s struggle to search them out. He argued that a “prehistoric animal shell is constructed in such a wonderful way that we could immediately adapt it to a fine bakelite or other moulded plastic form”. The second was a fifteen-minute silent film commissioned by the Museum of Modern Art, New York, The New Architecture of the London Zoo (1936). It is an attempt to show the spacial relationships within a set of avant-garde buildings designed by Berthold Lubetkin, and fits well with Moholy-Nagy’s project of documentation of different biological experiences of space in the human and animal world. In 1937 Gropius and Moholy-Nagy left London for the United States, to Harvard University and the New Bauhaus in Chicago respectively. At Harvard, Gropius would warn against industrialism and capitalistic greed that could come to dominate human life unless architects approached design and the environment in a responsible way: “Overwhelmed by the miraculous potentialities of the machine, our human greed has interfered with the biological cycle of human companionship which keeps the life of a community healthy.” A similar line of thought was pursued by Moholy-Nagy at Chicago, where he envisaged “happy and organic cities of which inhabitants have the experience of being amidst gardens and vegetation daily, not on their weekend trips only”. His influential Vision in Motion, published posthumously in 1947, was in effect “an attempt to add to the politico-social a biological ‘bill of rights’ ” for people to live in harmony with nature.